Company Newsroom of Crosstown Solutions, Inc.
Crosstown Solutions deploys innovative campaigns across New York. Crosstown Solutions leverages tailored customer acquisition campaigns to guarantee big business outcomes across New York. Posted Apr 10, 2019	 We're living in a socially conscious time where people want to know they're part of something greater than themselves. They want to know their time is not just wasted climbing a corporate ladder or only making their company more revenues for its shareholders. Posted Apr 3, 2019	 The foundation of any team has to be based on trust - trust that every member is concerned about the welfare about the entire team and project and that no one is withholding information or has selfish motives in mind. If the team dynamics are not monitored, trust can easily deteriorate and cause disharmony and dysfunction within the group. It doesn't take a lot for a relationship to go south. Here are a few items to pay close attention to, to preserve and grow trust within your working unit. Crosstown Solutions is growing rapidly to the Orlando region. The company's President discussed the plans for this new territory and announced that they will be seeking new people to join their growing team. Crosstown Solutions' President discussed the firm's nomination for the Bethpage Best of Long Island 2019 contest. He offered details on what winning would mean and the company's expansion goals. Select individuals from the Crosstown Solutions team have been chosen to attend a networking conference in Dallas, Texas. The firm's President outlined the benefits of this trip and travel in general. 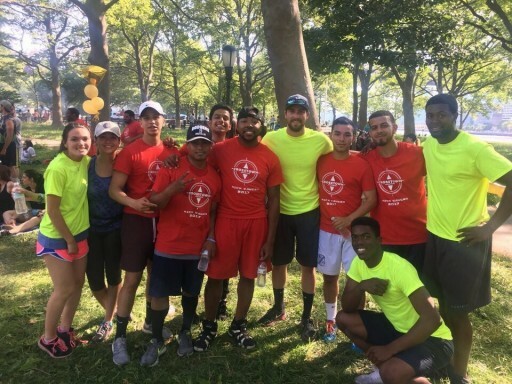 In addition to record-breaking results during 2017, the Crosstown Solutions team took time to engage in many philanthropic activities that had a strong impact on their surrounding communities. Crosstown Solutions team took time to engage in many philanthropic activities that had a strong impact on their surrounding communities. Representatives from Crosstown Solutions recently showed support for a worthy cause by attending the Champions for Children Gala to benefit the Tom Coughlin Jay Fund Foundation. Crosstown Solutions leadership is preparing to enter a new market in the coming weeks. The firm's Director of Operations discussed this expansion effort and the lasting benefits of moving into new territory. Sign up for email updates from Crosstown Solutions, Inc..